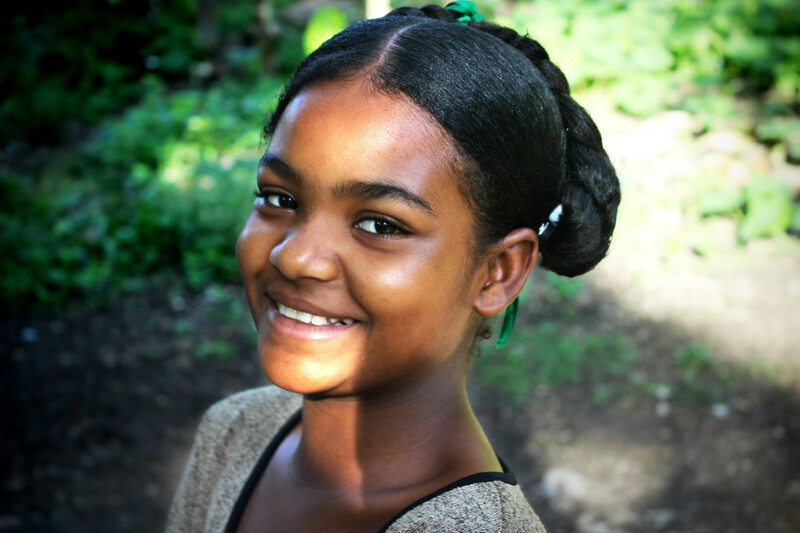 Merline and her sister Josna arrive at the children’s home in 2011. They grew up in the nearby area of Gran Savane. They are cousins with Pastor Yves Yonel, pastor at Gran Savane, as well as director of our children’s home. Their father died when they were younger, but their mother has since remarried, having three more children. Merline and Josna are the oldest. Their grandmother is an integral part of the MFM church at Gran Savane. Merline lives in the home with Yves and Mirthane, our directors, and serves in their home as part of her responsibilities for the children’s home. Merline has some of the biggest dimples you have ever seen, and she shows them off all the time, as her sweet smile is almost always on her face.